One woman was arrested and two received fines after a Lamar County Sheriff’s Office Detective made a traffic stop in the 1800 block of FM 195 on Wednesday, February 6th. 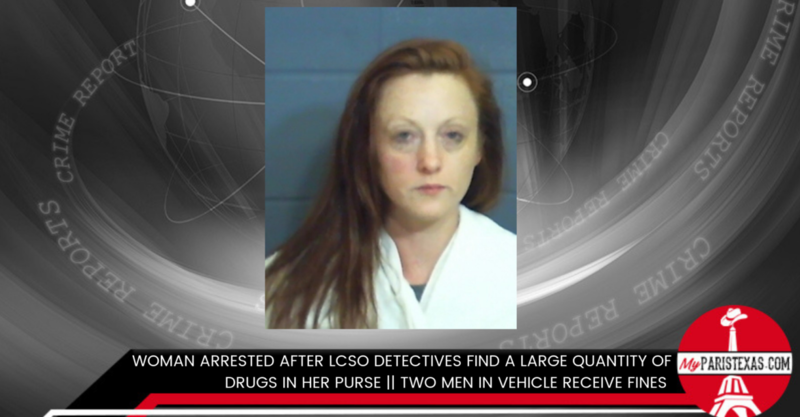 “The Detective identified the driver of the vehicle as Derek Armstrong, the front passenger as Amber Dillon and the backseat passenger as 39-year-old Crystal Lea Bennett,” said Sheriff Scott Cass. A search of Bennett’s purse revealed a large quantity of methamphetamine along with drug paraphernalia. Bennett is currently being held in the Lamar County Jail with a bond of $10,000.